Now you don’t have to depend on that friend to bring you back a box of gooey Theobroma brownies on their next work trip to Mumbai. We’ve got the deets on just how you can get yourself a box of happiness from the Theobroma folks themselves. In a process that’s as simple as digging into Theo’s Red Velvet Brownie, all you need to do is simply drop a message on their Facebook page and wait for them to reply. And knowing how crazy people are about Theo’s goodies, expect a prompt reply within an hour. If you are a cookie lover, you’ll be happy to know that they deliver those too. We are thinking of choco chip brownies, double choco chip cookies or multi-seed cookies to order. They courier brownies, tea cakes, and cookies anywhere in India. You can either place the order on Facebook itself or e-mail them at sales@theobroma.in. 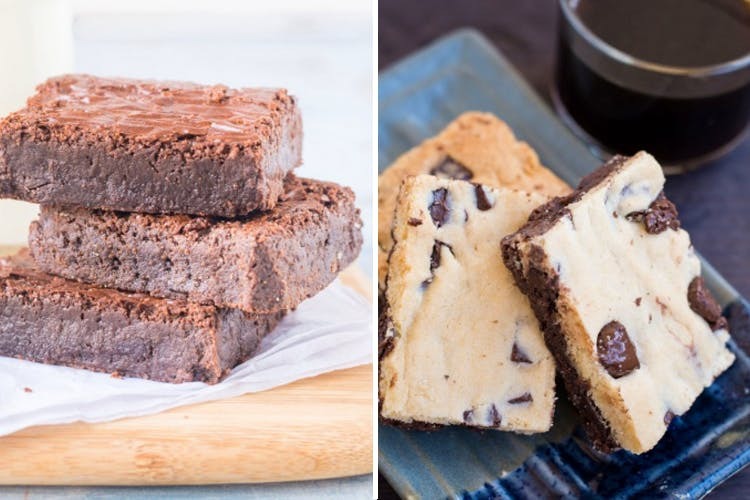 Once your message has been picked up, the Theobroma correspondents will send you a list of recommended goodies, think Overload Brownies and Cookies — a Theo classic which is brownies baked inside a cookie, along with their delivery menu and courier charges. According to our teammates in LBB, Kolkata, we hear that they got their order in less than 48 hours. How cool is that, right? Now, the estimated delivery time is four working days for standard delivery while for express delivery it is under two days in major cities and metro. If you are worried about eating into your expenses, Theo will give you a small discount for placing the order. All you got to do is send them your delivery details and pay on their website using PayU Money. The items are dispatched almost as soon as you pay!